While Corona Insights is based in Denver, we have conducted research studies in nearly every state in the U.S. as well as many nationwide studies. We certainly have an expertise in understanding what makes Colorado tick, but the fact of the matter is that today’s technological landscape allows us to effectively design and manage research studies all over the world from our Denver headquarters. Here is a brief overview of some of the tried and true methodologies that can be conducted from anywhere, as well as some of the more innovative methodologies that have expanded our ability to conduct research remotely in recent years. Mail Surveys – Though we at Corona are experts in how to effectively design, manage, and analyze the results of market research, we often rely on partners to assist with some of the fieldwork required for market research. For example, when conducting mail surveys, we rely on a traditional direct mail services vendor to print thousands of surveys and mail them to respondents. In most cases, we use our long-term, Denver-based partner to provide these services since first-class mail rates are the same no matter where you are sending to and from. However, should there ever be a need to have a local presence for a mail survey, we are quite comfortable in researching and identifying additional partners in other markets as needed. Telephone Surveys – Similar to mail surveys, Corona rarely conducts the actual phone calls required for a telephone survey in-house. Instead, we rely on phone room vendors to supply the manpower necessary to make thousands of phone calls and complete hundreds of interviews with respondents. Again, there is very little need to have a local presence for a telephone survey since long-distance calling rates are a negligible cost in telephone surveys compared. However, if we need to have a local presence, we have partners with locations in nearly every state in the U.S.
Online Surveys – As one might expect, online surveys are very simple to conduct anywhere in the U.S. (or even the world) from our main office. For our projects that utilize internal lists of customers provided by our clients, this process is straightforward. Even when we don’t have lists of customers, however, Corona has relationships with a number of worldwide online panel vendors that have databases of survey respondents of every shape and size. Want to conduct a survey of people with an interest in fitness in China? Corona can do that from right here in Denver. Focus Groups – All of the tasks necessary to conduct a focus group (from designing the group structure, to recruiting participants, to conducting the groups, to analyzing the results) can be done anywhere. When traditional, in-person focus groups are desired, it is relatively easy to work with local focus group facilities to host the group and simply fly in one of our experienced moderators to conduct the group. However, when being there face-to-face isn’t necessary, innovative technologies such as online video focus groups allow us to replicate the interaction of a traditional focus group without having to go anywhere. 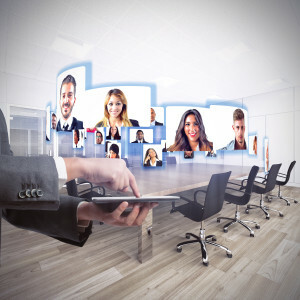 Similar to a video-conference using software such as Skype, we use specialized software that allows us to talk with participants via video chat, complete with the ability to have “invisible” observers, interactive activities, and much more. These really just scratch the surface of Corona’s toolkit of methodologies. Depending on the project, we might recommend online discussion boards, telephone interviews, video ethnographies, and more to best balance the ability to gather solid, actionable data about a topic and the budget required to do so. No matter where your customers or stakeholders are in the world, Corona can help you understand them from right here in Denver. Quite appreciable methodologies to conduct research. I believe online surveys are one of the most appropriate methodologies. I am looking for an online survey tool for my academic research project. My seniors are using tools like sogosurvey, survey monkey, survey gizmo and recommending me to use one of them. I would prefer a tool which is inexpensive and provides a great customer support. Can you help me out with this? Unfortunately, the low-cost options lack a lot of the features that we require for our research at Corona, so I don’t have a lot of experience with such software. I think the three you mentioned are fairly popular, and I know a lot of people use Google Forms for basic data collection as well.